If you are a car enthusiast, you’ve probably noticed the photos of the classic cars that populate many of the major cities in Cuba. Since Cuba has effectively been isolated from western society for almost 50 years, certain features of its society are locked in time -and cars are one of them. Today if you visit the city of Havana, for example, you will find the streets covered with American vehicles from the 1950s. It’s a very strange site and classic car enthusiasts have dreamed of getting their hands on these classic cars for years. Well, it might be possible soon. After 54 years of political animosity, Cuba and the United States have formally restored diplomatic ties. The Cold War has been over for a long time now. The beginning of this new relationship was established when the US opened its embassy in Havana and Cuba opened its embassy in Washington, DC in 2015. (The last time the Cuban flag flew at the US embassy was in 1961). In March of 2016, President Obama flew to Cuba to formally establish new diplomatic relations. It’s a new era in US-Cuban relations and a very exciting one. 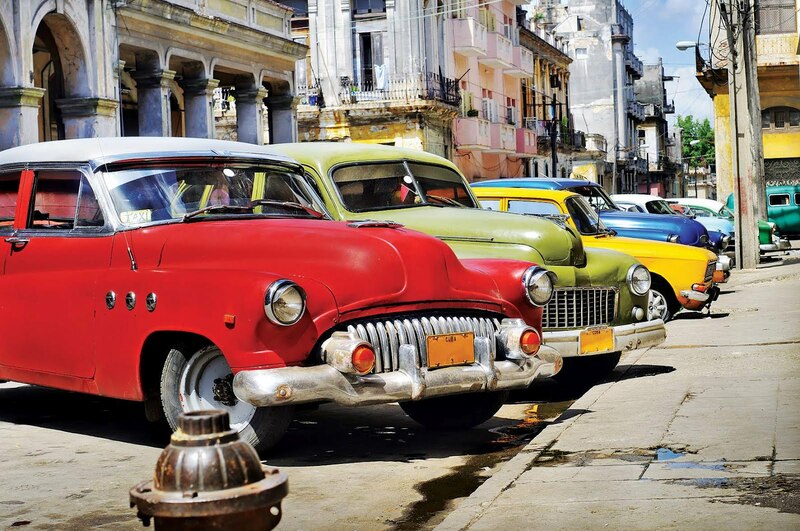 However, contrary to popular belief, car collectors probably won’t be descending on Cuba soon. The reason is rather simple. Despite what you see in the news photos, these aren’t the vintage cars that American collectors really want. While some of these 1950s cars are in relatively good shape, most aren’t. These are cars that have been heavily modified and patched together for over 60 years now. While the locals are very proud of the fact they have been able to keep these classics running, it’s been accomplished duct tape, bondo and non-original parts. For example, few of these cars have their original engines in them. The crude 1950s era V8s have been replaced with newer, more fuel efficient engines. Many of them have European diesel engines in them. So, what are Cuban cars potentially worth? In the United States , the “intrinsic value in collector cars is in the originality of its parts,” said Steve Linden, a professional appraiser of vintage automobiles. Most important, he said, are “original body, the interior, the engines and transmissions.” Unfortunately, this is the case with few of Cuba’s cars. That being said, the guys at Browning in Norco, CA , a Chrysler, Dodge, Jeep, Ram dealer, still feel that some exporting will start to occur soon. Why? Because some collector will likely want a particular model of a collectible American car if the same model isn’t affordable, or even available, in the US. We may find out, though, that the greatest export interest is likely to come from Cuban exiles living in the United States. Many of these exiles have been separated from Cuba for many years and would be proud to buy a car that is quintessentially Cuban and representative of the era.